I cannot believe that it's February already! I swear it was September not long ago?!?! 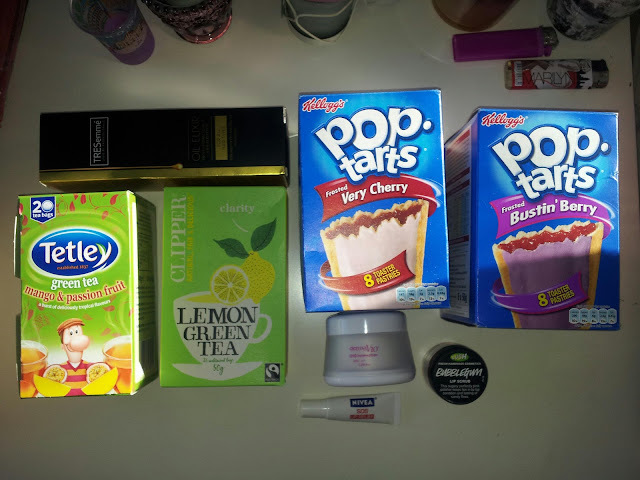 I have never done a monthly favourites post, however I thought why not share my most loved products with you guys?! I have been very poorly recently so most of my favourites this month are very Winter based - things that get me by through each day. Pop tarts are my all time favourites. 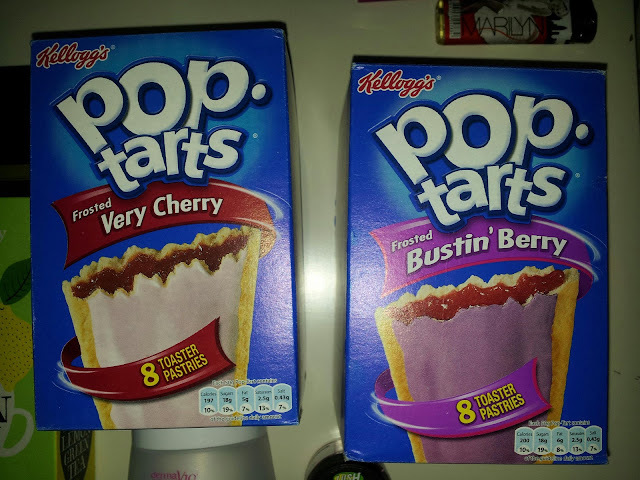 Bustin' Berry and S'mores are the best. This time I thought I will try the Very Cherry ones as I love cherries and why not try something new? Green tea has always been my one true love. Correction - just tea in general. 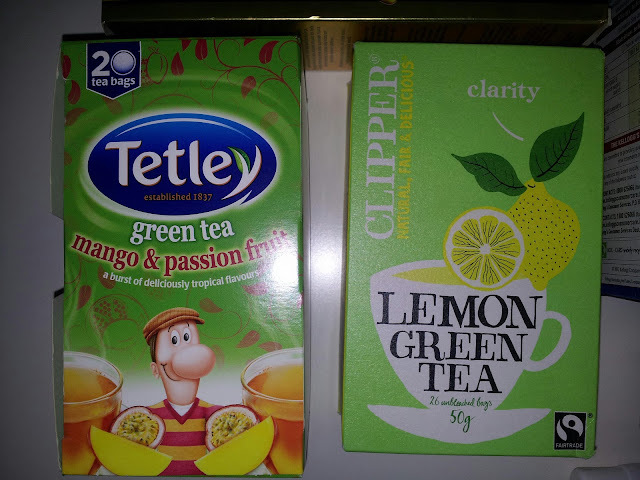 I feel much better when I drink green tea, as I feel like it cleanses my body from all the bad toxins. It also stimulates and speeds up metabolism so it's really good if you're trying to lose all the 'Christmas' weight! DermaV10 is my new favourite skincare brand. I have reviewed this product here, and I must say it is one of the best face creams I have ever used. It is perfect for this weather as it's very thick and stays on your face for a whole day. Nivea SOS Lip Relief is great for chapped lips which are my worst enemy right now as I love wearing lipstick so badly!! But not to worry as this product is my salvation. I apply the balm before lipstick and it makes it lasts longer without drying out my lips at all. I've always wanted to try this product and I finally got the chance to do so when I received this as a gift for my 19th birthday. I love the smell, the taste and it does a pretty good job of smoothing out my lips. 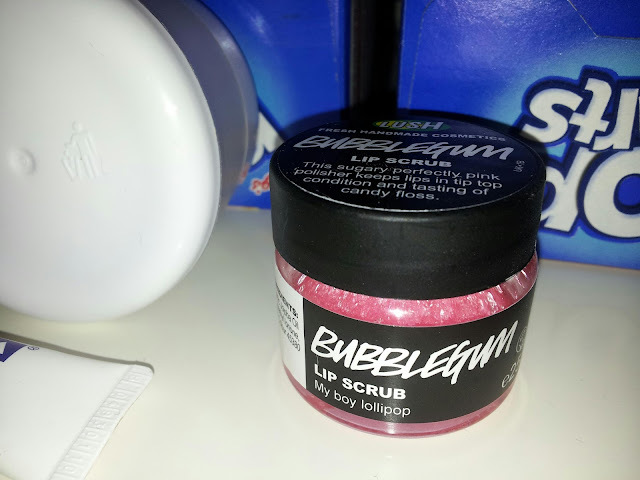 Lush lip scrubs come in three different flavours - Bubblegum, Popcorn and Julips. I must have all three!! 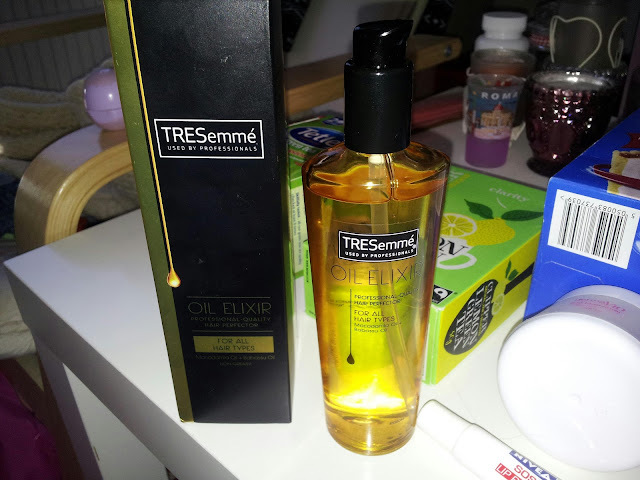 I got this Tresemme Oil Elixir for Christmas form my mum and I have to say it does wonders to my fair. I have fine and brittle hair which needs a lot of TLC and this just does the job. I think it's £9.99 in Boots but it's so worth buying as it is a big bottle that will last you forever and you only need one squirt for all of your hair because you don't want it looking greasy. I definitely recommend it to anyone who' struggling with fragile hair. 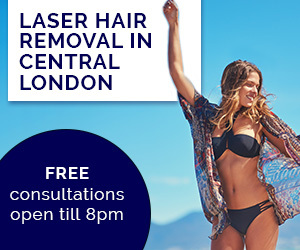 Have you tried any of those products? 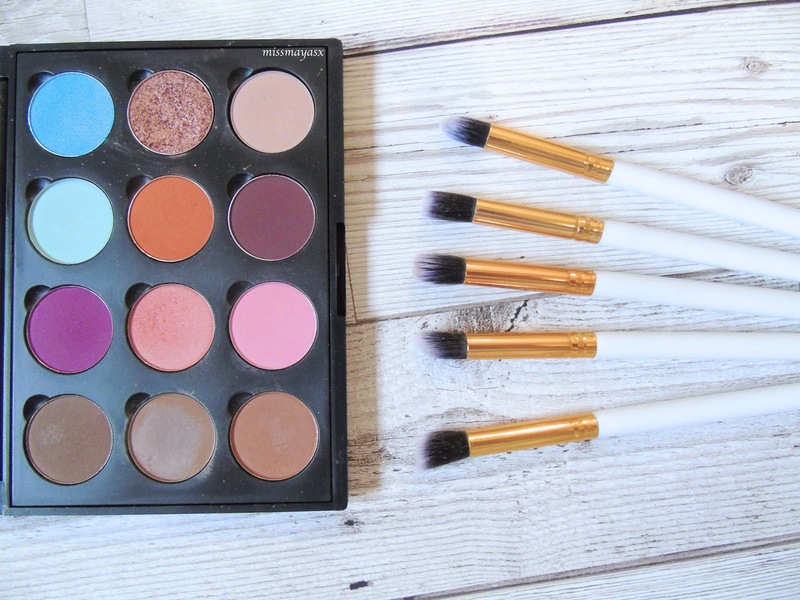 What are your January favourites? 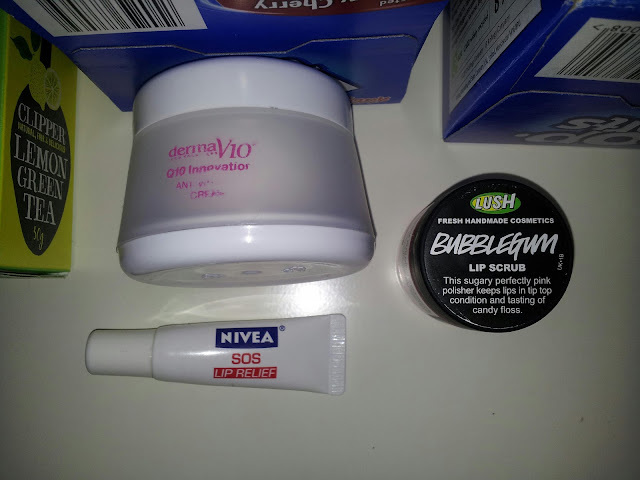 I get really chapped lips too, so I think I need to try the Nivea balm! This month (January, I mean) I've been loving slip-on shoes because they're so comfy and go with almost every outfit!